This is Bess' song to Porgy, only one of the many beautiful moments in The Gershwins' Porgy and Bess, currently on tour and stopping in St. Paul this week. 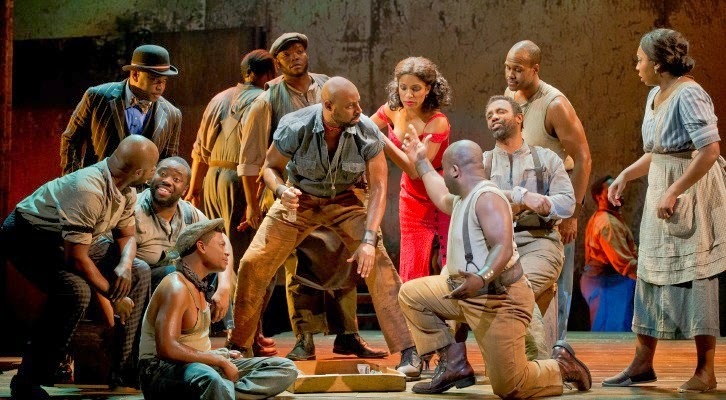 This classic American opera, first performed in 1935 and breaking ground and barriers with its all-black cast, has been re-imagined as a "Broadway Musical" (whatever that means), winning the 2012 Tony for Best Revival. The line between opera and musical is pretty blurry, so I'm not sure how this would be classified. There is some spoken dialogue, but the music (written by George Gershwin) dominates, and in the hands of this fantastic cast and twenty-piece (mostly local) orchestra, it's exquisite. This a beautiful and emotional story of relationships and community, but the reason to see Porgy and Bess is first and foremost the music. The score is absolutely divine and includes several songs familiar to anyone who's grown up in Western culture - in addition to "Summertime," there's "I Got Plenty of Nothin," and "It Ain't Necessarily So." As much as I enjoy seeing a modern band on stage, I geek out over a full and luscious pit orchestra, as this is. They sound beautiful along with the huge cast of strong voices onstage. Nathaniel Stampley is so believable as the pure-hearted Porgy, with a gorgeous voice and a very physical performance - his foot is turned completely in at a 90 degree angle and his whole body leans. He is equally matched by Alicia Hall Moran as Bess, and their duets are a highlight. Alvin Crawford is appropriately menacing as Crown, Kingsley Leggs provides a bit of comedy with his portrayal of Sporting Life, and David Hughey has some standout vocal moments as Jake. In addition to the music, the production is all-around stunning. The simple set consists of a raised wooden platform with a working water pump (much of the action takes place around the community watering hole). The choreography is wonderful, so evocative of the time and place, not too smooth and polished but organic to the people and the situation, from the carefree picnic scene to the tense fight scenes. The costumes are simple but also help to explain who these people are, with Bess changing from a form fitting red dress to a soft floral dress as she becomes an accepted part of the community. 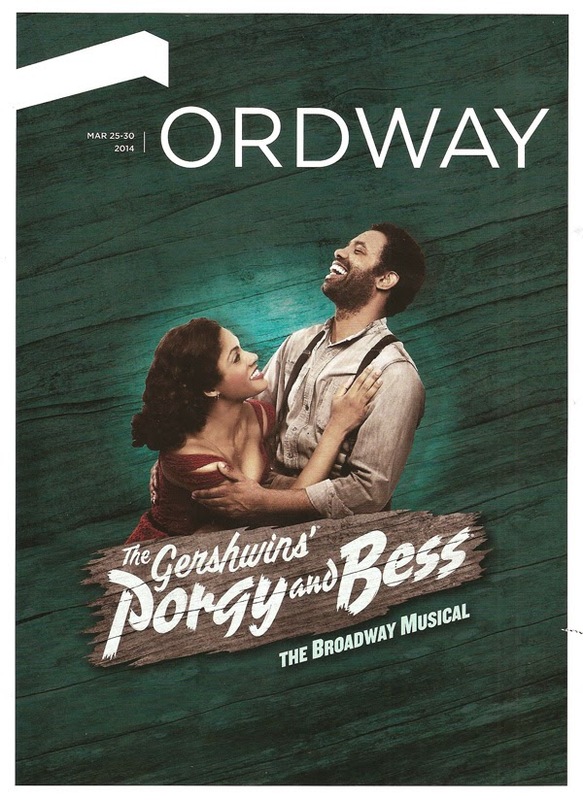 If you're a music-theater lover, The Gershwins' Porgy and Bess is one that you don't want to miss. It's historic, epic, moving, and engrossing, and features exquisite music performed by dozens of talented musicians. The tour moves on after this weekend, so get there while you can!